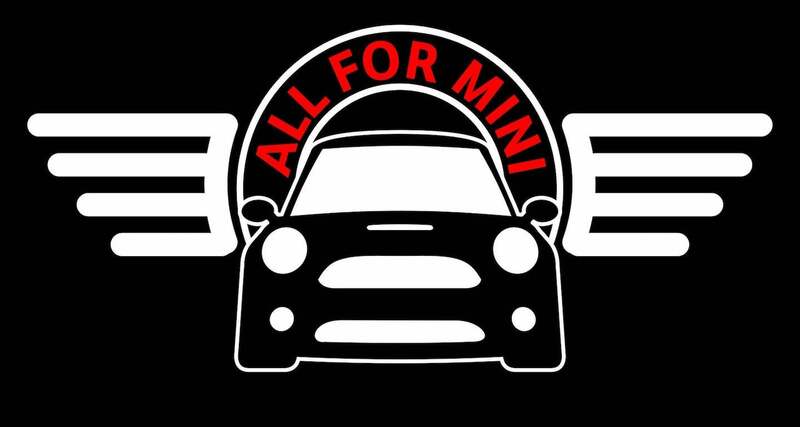 IF YOU LOVE MINI'S THEN YOU ARE "ALL FOR MINI". 100% PRE-SHRUNK BLACK OR DARK GRAY (IN NOTES PLEASE PUT THE COLOR YOU WOULD LIKE) COTTON ADULT CUT TEE SHIRT. LARGE LOGO ON FRONT SMALL ONE TOP CENTER AND TEAM A.F.M. ON BACK. WE NOW HAVE OTHER COLORS ALONG WITH BLACK. WHEN ORDERING IN NOTES PLEASE PUT THE NUMBER OF THE COLOR YOU WOULD LIKE. IF NO NUMBER IS NOTED YOU WILL GET BLACK.